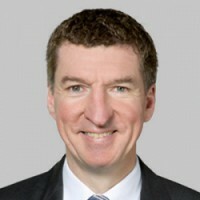 Roland Buhl is Professor of Medicine and Head of the Pulmonary Department at Mainz University Hospital. He qualified and received his doctorate from the University of Heidelberg and later trained in pulmonary medicine and allergology, first in Berlin and Frankfurt, and then at National Institutes of Health, USA, before receiving his Ph.D. from the University of Frankfurt. David Halpin is currently Consultant Physician & Honorary Associate Professor in Respiratory Medicine at the Royal Devon & Exeter Hospital. He is married with 2 daughters. He trained at Oxford & St Thomas Hospital Medical School: completing a D.Phil. in the Department of Human Anatomy, Oxford, before finishing his clinical training at St Thomas. He completed his postgraduate training in respiratory medicine at the Brompton Hospital. He is a Fellow of Royal College Physicians, Member British Thoracic Society, European Respiratory Society & American Thoracic Society. He leads a busy clinical department, continues research in respiratory medicine & has published widely. He lectures frequently around the world on COPD. He is an Associate Editor of Thorax. He was the Chairman and Clinical Expert for the COPD Guideline Development Group of the National Institute of Clinical Excellence (NICE) in the UK. Since 2010 he has also been Respiratory Clinical Lead for the NHS in the South West. Walter McNicholas MD, FRCPI, FRCPC, FCCP is Newman Clinical Research Professor at University College Dublin (UCD), Director of the Pulmonary and Sleep Disorders Unit and Consultant Respiratory Physician at St. Vincent’s University Hospital, Dublin, Ireland. He is a medical graduate of UCD (1974) and has a long established track record in high level research and leadership. He is a leading international authority in translational research on the mechanisms and consequences of sleep-related breathing disorders particularly sleep apnoea, and has held competitive grants from agencies such as the Health Research Board (Ireland) on a continuous basis for close to 30 years. 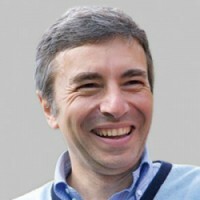 His research interests include the pathophysiology, treatment and outcomes of sleep apnoea syndrome, the cardiovascular and metabolic consequences of the disorder, basic cell and molecular mechanisms and consequences of intermittent hypoxia, in addition to sleep disturbances in COPD and other chronic respiratory disorders. He is also closely involved in the evaluation of novel ambulatory monitoring devices for sleep disorders. He is a past Associate Editor of the European Respiratory Journal, and has published over 170 papers in Pub-Med listed Journals (h-index in 2013 of 36), in addition to more than 30 book chapters, and has edited 3 textbooks on breathing disorders during sleep. 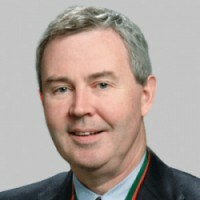 Prof. McNicholas has held many Leadership positions in National and International organisations, particularly President of the European Respiratory Society (2003-2004), and is current Vice President of the European Sleep Research Society and President of the European Board of Accreditation in Pneumology. 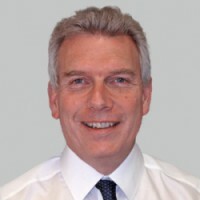 He Chaired a COST Action (B26) on Obstructive Sleep Apnoea (2005-2010), and recently chaired a Working Group established by the European Commission on Sleep Apnoea and Driving (2012-2013), which is expected to lead to an official EU Directive on this topic. Luca Richeldi is Professor of Respiratory Medicine and Director of the Pneumology Unit at the University Hospital A. Gemelli in Rome. He was Chair of Interstitial Lung Disease at the University of Southampton, UK until December 31, 2016. He has also been Associate Professor of Respiratory Medicine in the Department of Oncology, Hematology and Respiratory Diseases at the University of Modena and Reggio Emilia, Italy. Dr. Richeldi was also the Founder and Director of the Center for Rare Lung Diseases at the same university. From November 2005 to November 2008 he was the Director of the School of Specialization in Respiratory Medicine of the University of Modena and Reggio Emilia. From November 2012 he was the Deputy Dean for Education of the Faculty of Medicine of the University of Modena and Reggio Emilia. He serves as associate editor for the European Respiratory Journal and is a member of the editorial board of the American Journal of Respiratory and Critical Care Medicine. He is a member of the Microbiology, Tuberculosis and Pulmonary Infections program committee of the American Thoracic Society (ATS). He has been part of the panels in charge of the production of the ATS-ERS guidelines on “Diagnosis of tuberculosis infection” and “Idiopathic pulmonary fibrosis” and is a member and reviewer of the Cochrane Collaboration. Dr. Richeldi is a member of the Fleischner Society and has published more than 100 peer-reviewed papers and contributed several chapters in scientific books. 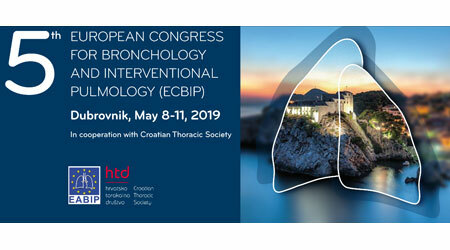 The Pneumo Update Europe 2019 has applied for CME accreditation through the European Board for Accreditation in Pneumology (EBAP) and the EACCME.